Touhou 4, the fourth instalment of the series. Like the previous ones, it is on PC-98 but the mechanics makes it easier for most player to be able to learn danmaku games since it is considered passable (relatively). 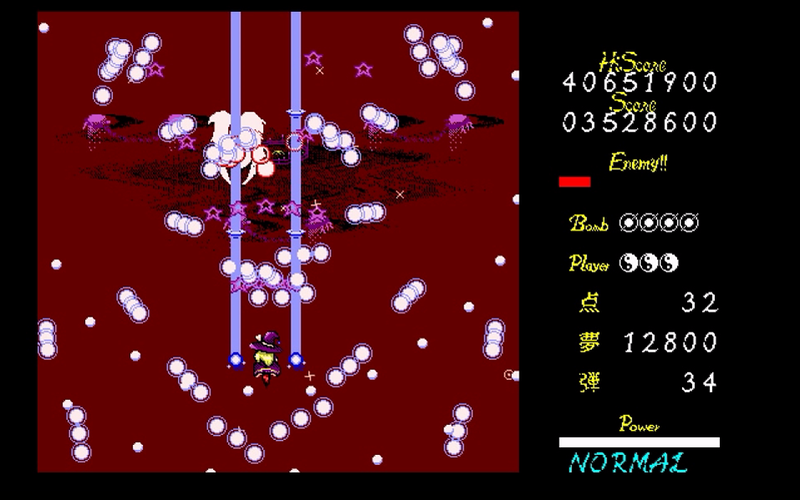 It is basically the improved version of touhou 2. Believe it or not, touhou games nowadays still share most of its features from this games. 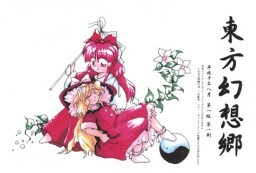 The story has different start point based on each playable characters; Reimu and Marisa. On Reimu's side, once again, she founds out that ghosts and evil spirits were coming towards the shrine while Marisa sensed a large magical force coming from the same location Reimu was heading and they both met eventually. Later, either Reimu or Marisa will continue on the journey (since they had a battle) and met the culprit of the whole event , Kazami Yuuka. 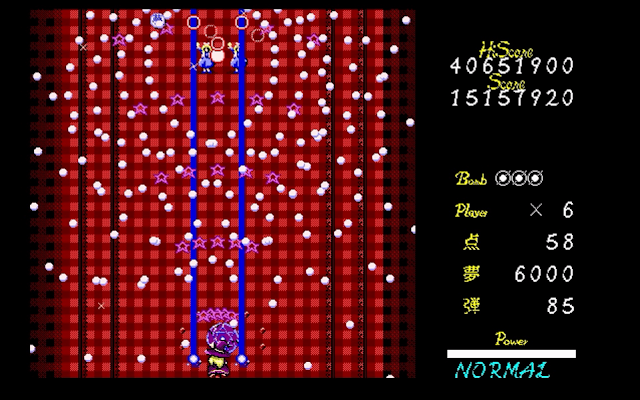 Batting Yuuka is quite long since the player need to fight her in both stage 5 and 6. 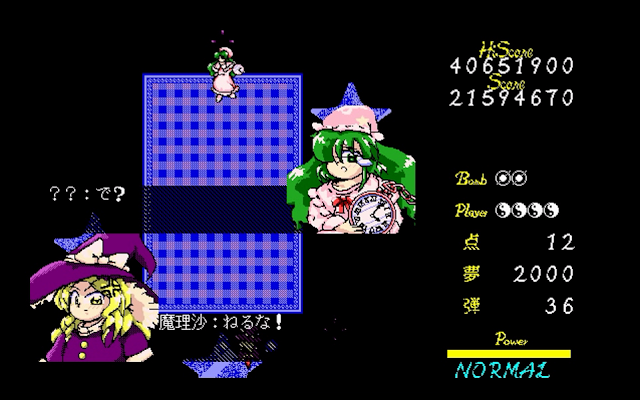 Similar to touhou 2, after beating the game (without continues) will unlock the extra stage which is.... kinda hard but it should be passable with higher effort and practice. For the controls, the button mapping is the same where "z" is for shoot, "x" is for bomb and the directional button for movement. The only new feature is the usage of shift button which is to slow down the player's movement for much precise control to dodge extreme barrages. Player will be awarded a bomb upon clearing a stage and extra life after reaching certain point. The other mechanics that was introduced in the game is the graze system. Players will also able to collect points just by staying near bullets. Remember, this will also makes players to get risky and die easily. 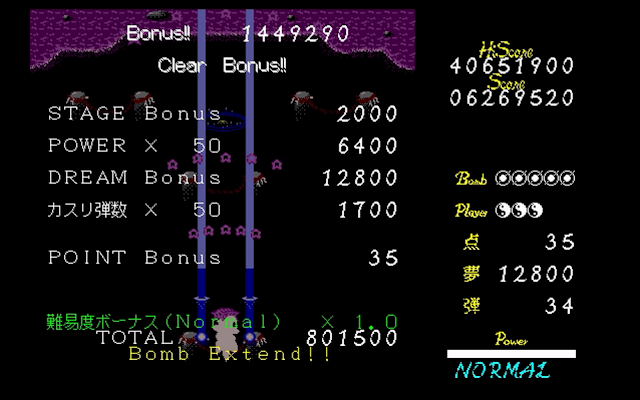 Just prioritize on survival since player can get bombs easily. Grazing bullets comes next. Below are some screenshots and the videos of the game play. For those who wondering about the the song BAD APPLE and its relation to touhou, the original song is from the BGM of the third stage. Stage 6 (final) and Boss battle against Kazami Yuuka. Notice the signature skill Master Spark. 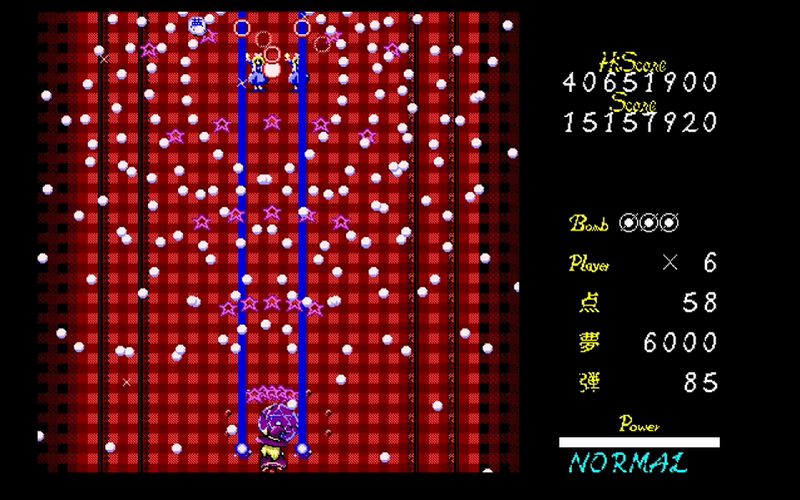 So far, among all touhou games in this platform, I like this one the most because it is challenging but not unfair. Not only that, the BGM are also very good for an old game. That was it. Review on touhou 5 will come up next week. See ya!